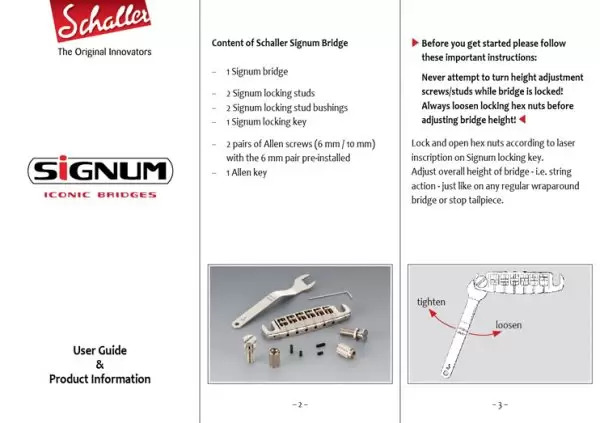 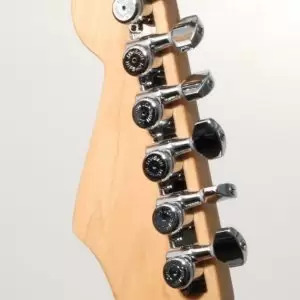 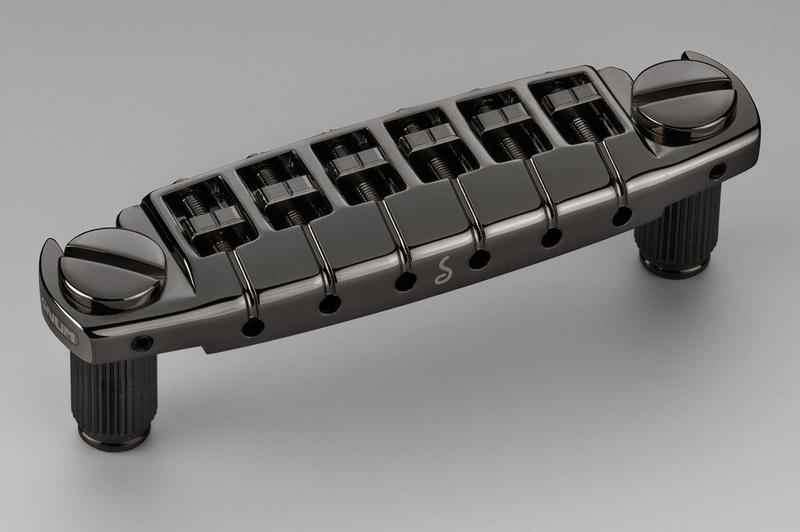 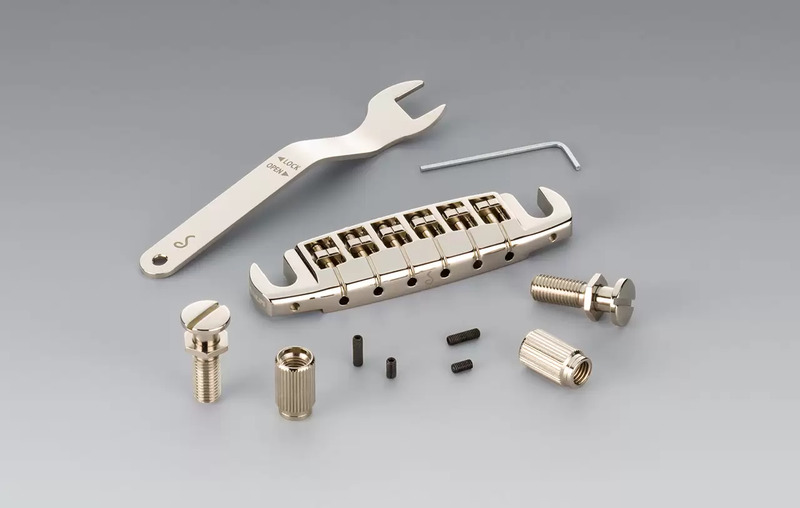 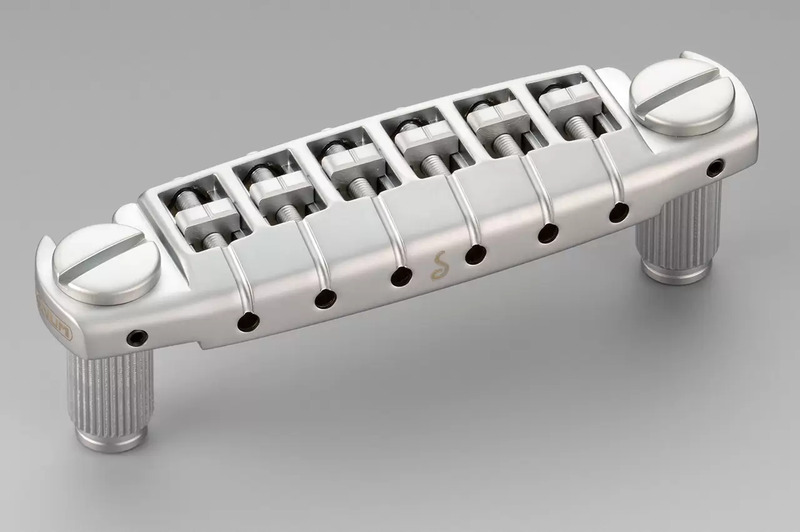 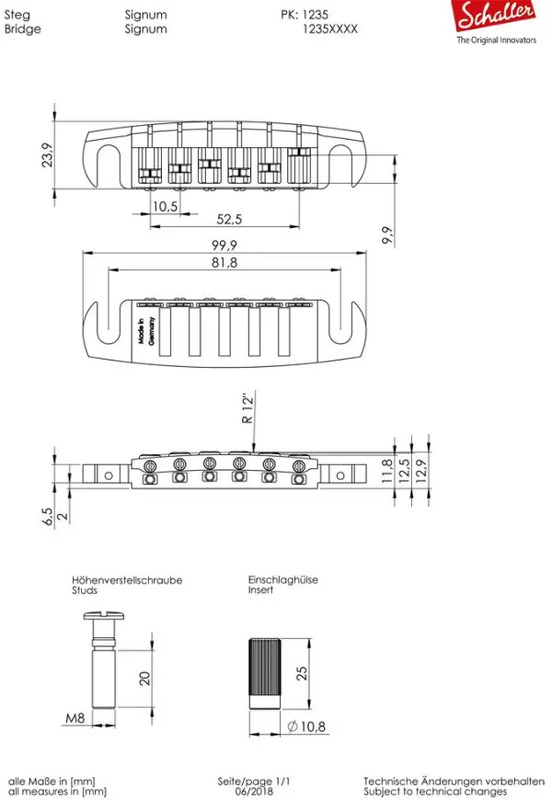 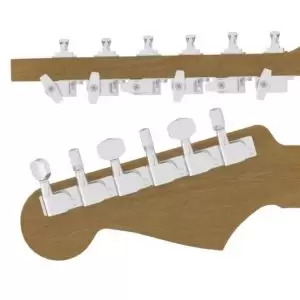 The Schaller Signum is latest model of electric guitar bridge from Schaller. 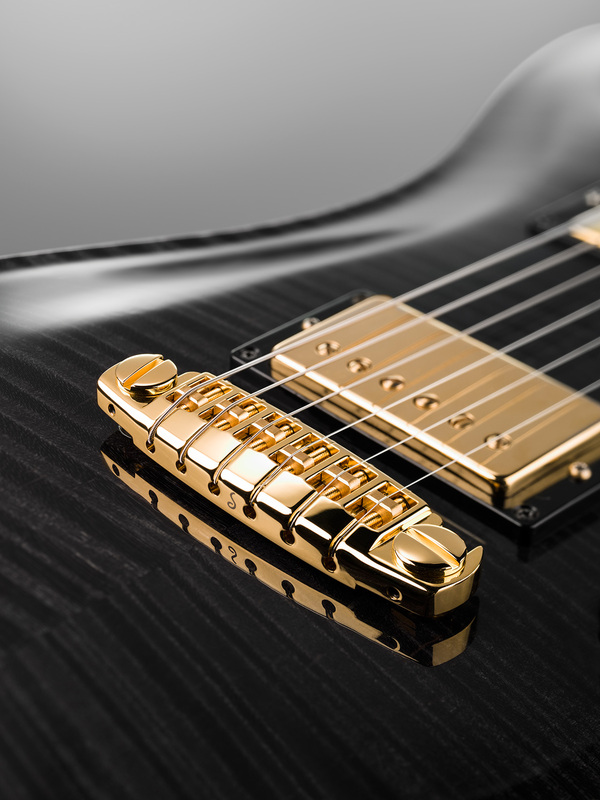 It’s design is all geared towards improving your instrument’s tone, playability AND looks. The Schaller Signum achieves these improvements through 3 key features; locking studs for a greater transfer of resonance, tonal definition from state-of-the-art string saddle shaping, and a smooth & sleek top surface for comfort and style. 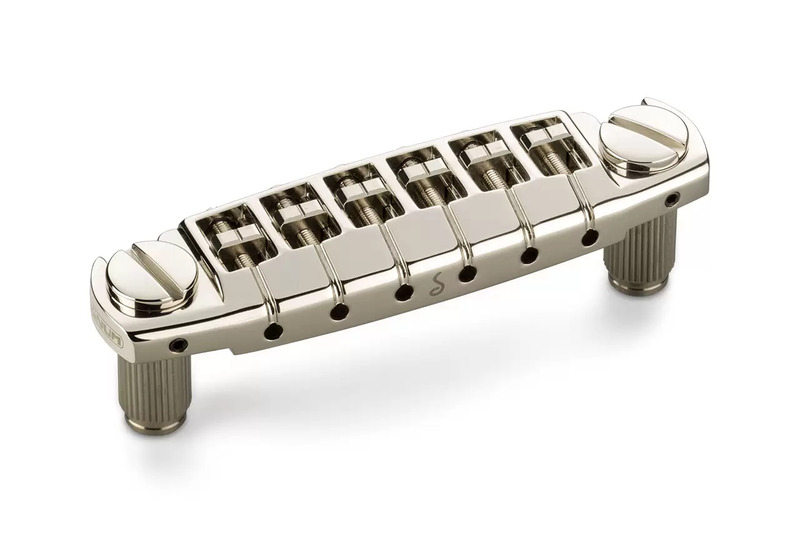 These things combined creates a rich, dynamic tone with plenty of sustain and overtones. The Schaller Signum is an elegant and versatile guitar bridge – perfect for all styles of guitar. Vast intonation space of 9 mm string saddle travel. 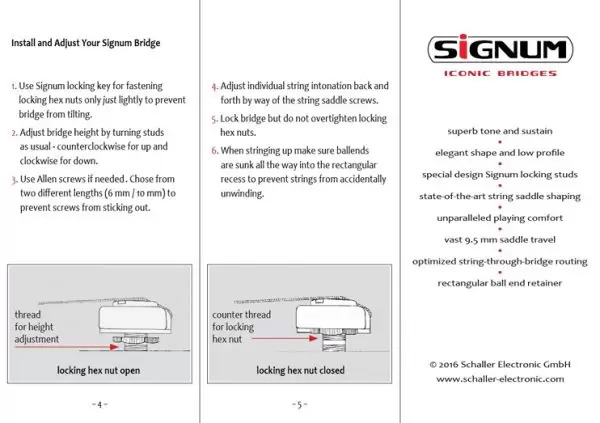 Meticulously designed break and pressure angles. Optimized string-through-bridge routing for effortless restringing. 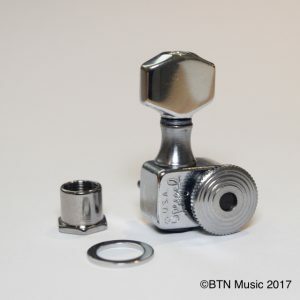 Rectangular ballend retainer holes to prevent untwisting ballends. New die-cast zinc with machined special-design brass saddles. 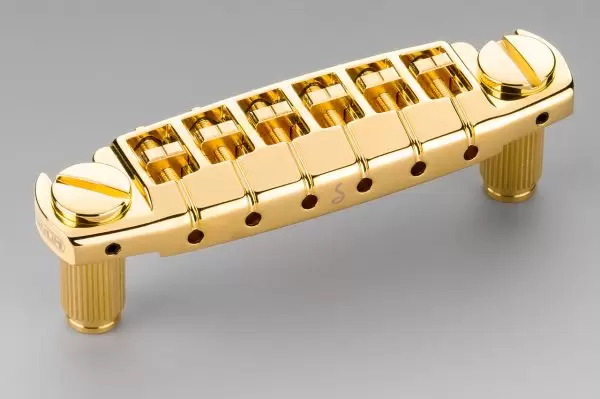 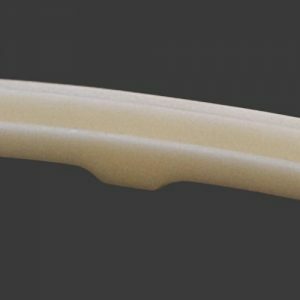 Sleek design and unique construction details means the Signum’s G/D string height above body can be adjusted as low as 13.20 mm (0.520).